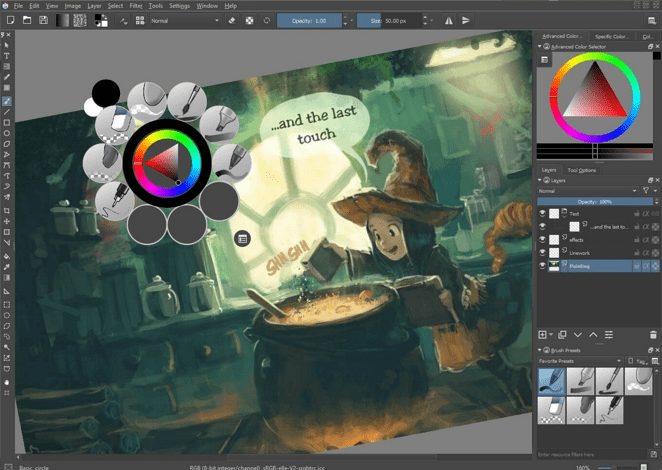 Krita is a free digital painting application targeted at artists who want to create professional work. The app is mostly used by comic book artists, concept artists, book artists, matte and texture painters and so on. It is also used in the digital VFX industry. You can find it available for download in the Windows Store. Check out some of its primary features below. The user interface is beautiful and clean and will stay out of the user’s way. The panels and dockers can be moved and customized to match user workflows. Once you have your setup, you will be able to save it. You can also create your own shortcuts for your favorite tools. You can quickly pick your color and brush by right-clicking the canvas. You’ll also be able to use the app’s tagging system to swap out the available brushes displayed. You can configure all settings according to your preferences. In case you have a shaky hand, you can add a stabilizer to your brush and it will smooth things. The app includes three different ways to stabilize and to smooth your brush strokes. You will also find a dedicated Dynamic Brush tool where you can drag and mass. You can customize your brushes with a unique brush engines. Each of them features various settings for customizing your brush, and each engine is developed in such a way to satisfy a particular need such as the Shape engine, Color Smudge engine, Particle engine, and a Filter engine. You can import brush and texture packs from other artists to expand your tool set. If you create some brushes, you can share them by creating your own set. Creating seamless textures and patterns with the app is easy! 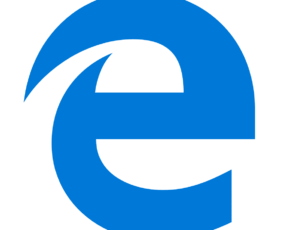 You can download the app from the Windows Store and give it a try.